Originally Nier was going to be included here, but that section ended up far too long, so I posted it a week ago as a separate review. It’s soccer, but with cars. That’s this game in a nutshell. This is not the type of game that I normally play, but I got it for free with PS Plus back in the summer, so I’ve been picking it up a bit on-and-off since. It’s pretty fun. At its core, it’s just soccer with cars. But it’s more like how I played soccer back in high school – bowling over people because I’m not paying too much attention to where I’m going. Unlike that stuff, this game has like… explosions and stuff. It’s shiny. Yellow cards are not shiny. Online play is bound to have lag, but you can at least limit your region choice. And there’s splitscreen! It’s a pretty easy game for anyone to just jump into and try out. Unless you’re going for aerial hits, experience probably won’t make a huge difference. Or at least not in my case. Play time – I have no idea. Recommendation – If you’re looking for a fun game to play every once in a while, either online or splitscreen, this is definitely worth checking out. I spent $10 on this. Granted, I didn’t have much of a choice since it was for an otherwise interesting class. This is what it must feel like when you go see some sad attempt at an “artsy” movie. 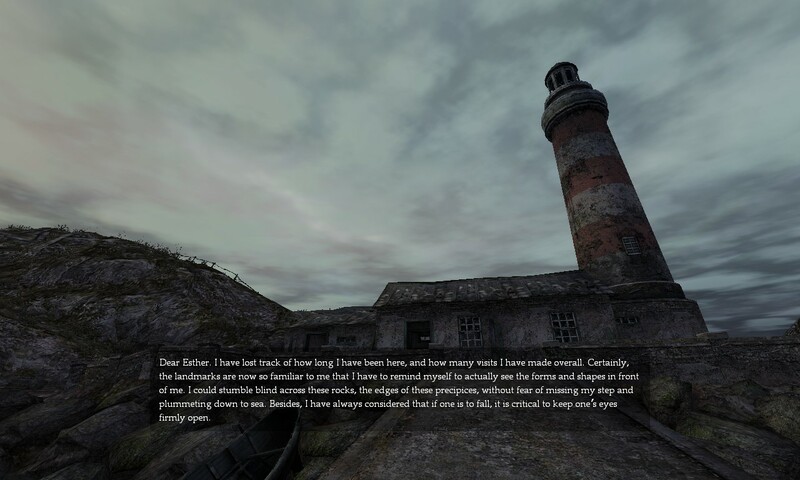 For those of you who aren’t familiar with Dear Esther, let me lay it out for you. It’s a walking simulator. A sleep aid. A waste of time. And to some, a “literary experience.” Just typing that makes me want to throw up. To be clear, this is a video game. You control an unnamed protagonist from the first-person perspective, and you walk around. That is the extent of player interaction. You walk around a deserted island, listen to fragmented narration about a bunch of uninteresting semi-connected stories written in an obnoxious manner, and you see stuff on the island and a flashback or two. That’s the entire game. And all the player does is aimlessly wander. Wao. But maybe the whole issue is that it’s too deep for my feeble mind to comprehend. Maybe I just don’t get it. Yeah, I’m sure that’s it. I guess I should get back to carving tools out of stones and fortifying my mud hut instead of trying to understand something that is clearly above my mental capabilities. The only positive point is the visuals. It’s a pretty game. Maybe there was music too, but I don’t remember. But if all I wanted was to walk around and see some nice graphics, I would uninstall the game, leave my apartment, and take a walk. In fact, that’s exactly what I did. It resulted in a better story too. Recommendation – If you play games “for the story,” you may get something out of this. If you enjoy movies that are artsy and whatever, you may get something out of this. If you prefer some semblance of proper gameplay or a decent story, skip it. If you hate meandering flowery narration, skip it. If you think movie tickets priced at $10 or higher are too expensive, skip it. Invest your money in something other than this crap. Like good games. Or a good movie. Or food. The story is easily the weakest part of the game, being unoriginal in its basis and execution. A small country striving for peace is caught between two massive empires both interested in this country for a rare resource. How many times have you seen something with this story? Interestingly, Sakimoto Hitoshi, the composer for Valkyria Chronicles, also did the soundtrack for Final Fantasy XII, which also has this same general plot. The music is good, by the way. And regarding the story, make sure to not watch the opening video, because it will spoil a major twist. Regarding gameplay, this is a strategy RPG that does not use a grid for maps, but instead allows manual player movement of characters. Different classes (scout, lancer, engineer, etc.) each have a certain number of steps that they can move in a turn, allowing them to take cover, get to a vantage point to line up shots, or just continue in a forward trek. While moving, most enemies will fire at you if you’re in their range and line of sight, meaning the player sometimes need to be careful of how to get from point A to point B. Of course, your troops will automatically fire at enemies during their turns, so it’s all evened out. Tanks also play a big role in dealing damage, but footsoldiers are the ones who can cover ground and hit the enemy where they’re least expecting it. My biggest complaint about the game relates to the character movement. There is no visual indication of your range on the map, just a bar that depletes as you move, and there is no way to undo movement. If a character ends up standing a few inches from cover, where they’d be able to crouch, you can choose to either leave them vulnerable, or waste another turn to move them. Besides this though, the game is smooth sailing. The level design and degree of difficulty feel well-balanced, with only a few situations that feel like the player is put out of their element without any immediate understanding of how to approach it. In general, some patience is all that’s necessary to address most situations. Beyond that, the classes level in unison, which is super helpful if you need to swap out anyone. Upgrades don’t offer loads of options, but at least help you keep on top of increasing challenges. And really, it all comes down to being tons of fun, working through each level and trying to figure out the best way to approach the task. There’s not much holding it back, and it definitely leaves me wanting to play more. So I’ll get to the sequel before too long. 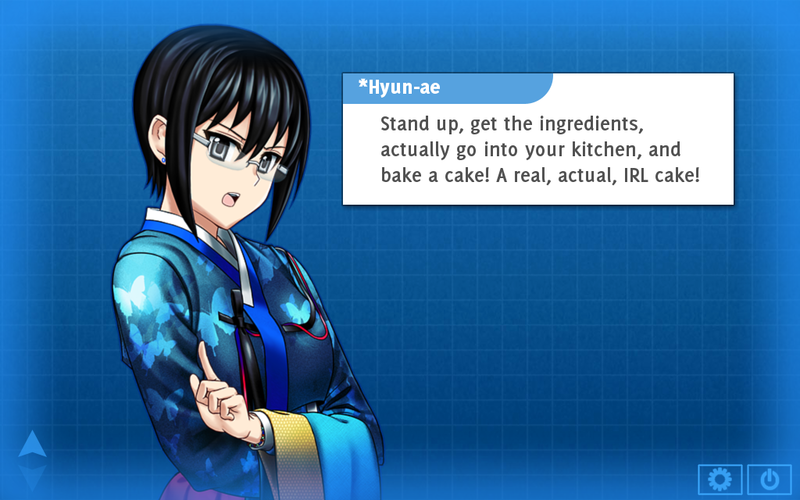 First off, as this is a sequel to Analogue: A Hate Story, I’d recommend that you either read that VN or at the very least my post on it first. I will be avoiding major spoilers for both here, but context would probably help with what I’m going to talk about. While Analogue presented the story of the Pale Bride and her problems in the backwards society of the Mugunghwa generation ship, Hate Plus follows Old *Mute, the AI formerly in charge of ship security before year 0, when society changed to an extreme form of neo-Confucianism. So this is the backstory of everything, the whole point being to figure out what exactly happened. To start off, you can load up a playthrough from Analogue, picking up just about where you left off. So if you left the ship with *Hyun-ae, you’ll have her with you, or if you left with *Mute, she’ll be with you. The main advantage though, is carrying the harem route over to Hate Plus – it’s the only way you can do it. As the above image makes clear, it’s not “canon,” mainly because you have to sort-of cheat to unlock it, or at least break the laws of continuity. 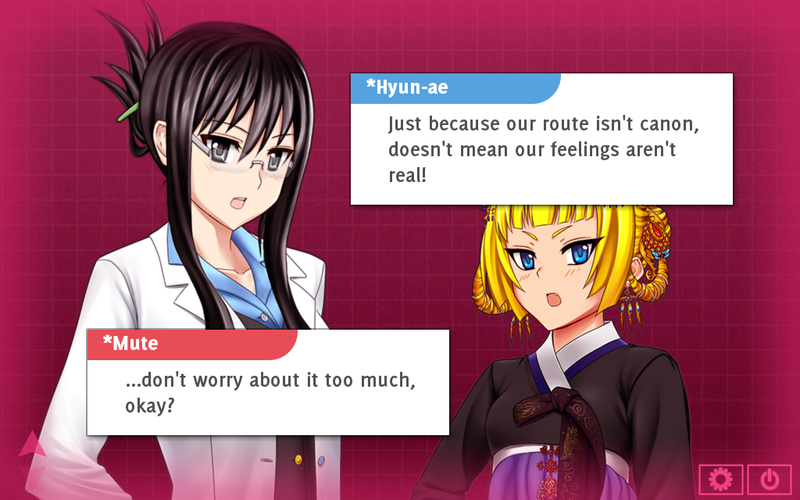 But for whichever route you’re on, you’ll be able to hear the characters’ thoughts on the reading material and what-not, similarly to Analogue. Having them bounce comments off of each other in the harem route adds a lot more than you might expect. One of the biggest changes from Analogue is how you unlock reading material, and how the characters react to it. In Analogue, everything would be unlocked piecemeal, in some clear order based on where you start. Then, once you’re done with a section, the character talks about it. In Hate Plus, passages are made available in huge chunks, and the characters will make little comments while you’re reading. Frankly, it can be a bit distracting, and it often doesn’t add as much as what might seem necessary. The way Analogue did it was much better. As far as the content of the VN, there’s a bit of overlap with material Analogue covered, but it’s obviously focused more on the transition that shows both sides of things, instead of just the results. Throughout, you read about the nobility, inclusion of meritocracy, motherhood credit, and even the change to the writing system (for Korean, the de facto language on board the Mugunghwa), swapping from today’s hangul to the archaic use of Chinese kanji. Plus, there’s also a lot more focus on sexual relationships, a bit more naughty language, and a few other noticeable differences along those lines. On the whole, the backstory is well worth reading about, but the conclusion of *Mute’s route is a bit… disappointing. While this VN lacks the total impact of Analogue, it is a very enjoyable and interesting follow-up. And at one point, you get to make a cake. I’m not joking. A real cake. If you take a picture and email it to the developer, you can unlock a Steam achievement. Recommendation – Read Analogue. If you enjoy that, definitely follow it up with Hate Plus. Or, get both for $20, along with both soundtracks. They’re definitely worth it in my opinion. If Dear Esther fails as a game for doing an awful job of trying to be more than just a game, Sonic 06 fails for just being a piece of trash (it’s still better though). I struggled to finish a single route – of three – from the game. Let’s start off with the good points. The music’s not bad, certainly pleasing to the ears and only occasionally feeling out of place. Having the three story routes, one each for Sonic, Shadow, and Silver, adds some good character variety, even if each individual chunk doesn’t take too long. The story is also very ambitious, including elements of time travel into a series that’s normally just known for being fast. At least Shadow the Hedgehog came out two years prior to this, so people should have known not to get their hopes up. Now, let’s look at the negative points. Also known as every other detail about the game. In terms of normal gameplay, there are also many many issues. Several sections play out automatically, with Sonic or whoever running along a series of loops or other straightforward bits without needing any player input. This has two issues. First, there’s never a clear indication of when these sections end up until the character just stops moving. The bigger issue is that even slight player input can throw everything out of whack, causing you to get launched randomly or forced to walk backwards up a loop, no matter what buttons you press. Similarly, there are the boarding sections. If you want to experience true suffering, play these. It’s no use. Combat just consists of jumping and spamming the homing attack over and over again. With Tails and Silver, it’s a bit different, but more difficult to get working. Altogether, the targeting is a bit screwy, but simply moving consistently is enough to avoid enemy attacks. However, having the slide, kick, bounce, ring glide, and interact all mapped to square/X is baffling. The triggers, bumpers, triangle/Y, and circle/B do nothing, yet five commands were put on the same button. And I could keep going on about the level design, mess of a story, hand-waving protagonists, and idiotic challenges. But I won’t. I just want to put this game behind me. In the trash can. 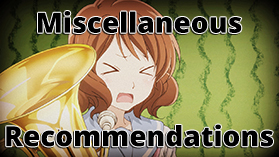 Recommendation – Unless you enjoy bad games, stay far away. Weird sidenote – I got a Japanese copy, but everything was in English for some reason. Text, dialogue, menus, everything. I have no idea why. Also, the aforementioned video. For everyone’s well-being, this is at about 2x speed. 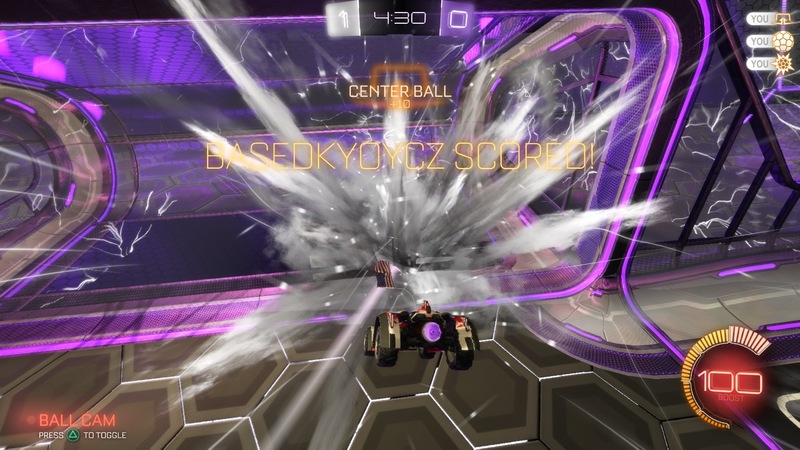 My only experience with Rocket League was losing to the AI due to a last second goal. I rage quit and never reloaded the game. 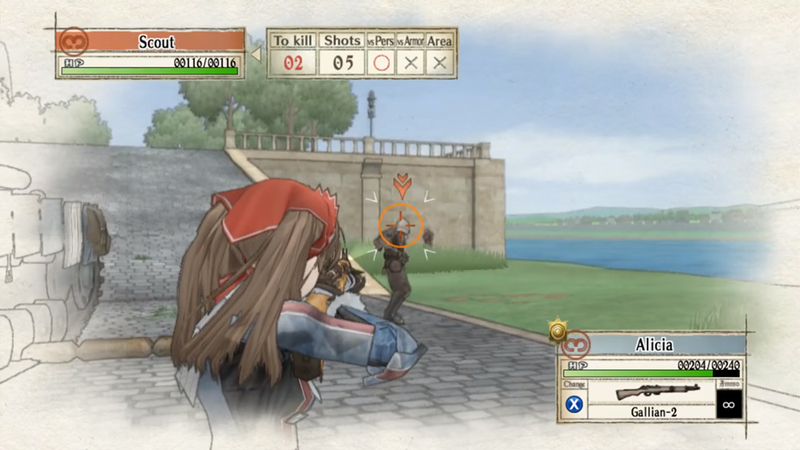 Valkyria Chronicles was so good that I may double dip and buy the upcoming PS4 release. 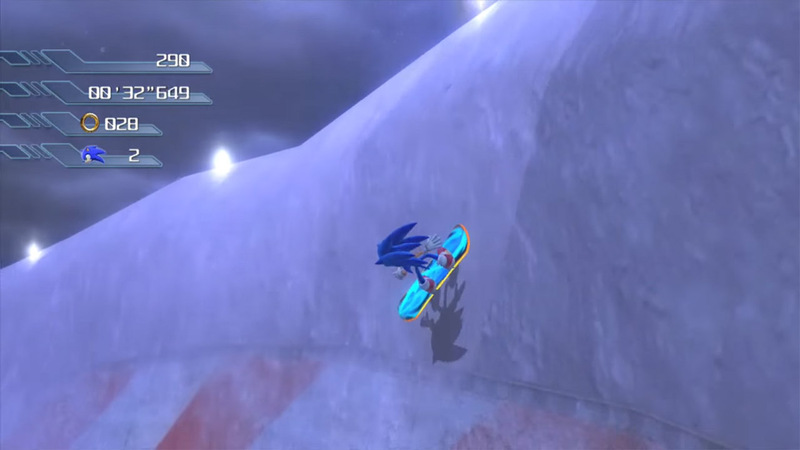 Sonic 2006 is so broken. Playing it for an hour ended by life as a Sonic fanboy. I don’t know what is included with the PS4 release of Valkyria Chronicles, but I figure it’s not really worth it when my PS3 is sitting right here anyways. Fortunately, I was never a Sonic fanboy. I like some of the 2D ones, like Sonic 3 and Knuckles and Sonic CD (my favorite), but the 3D games have consistently been bad. Sonic 06 is just the biggest chunk of the poop pile.